Marketing budgets are tighter than ever, and businesses need to have strong justification to begin any new marketing initiatives. Instead of using your internal resources or hiring new employees for marketing, New York City companies can consider the option to select from affordable marketing firms to execute your strategy. Experience - does the marketing firm have the knowledge and experience needed to meet your specific requirements? Have a list of items ready to ask about including web design, content development, emails, blogs, social media and other online marketing initiatives to determine the experience level. Flexibility - some marketing firms offer a specific services package or bundle and you must select from the bundle that you prefer. Look for a firm that is willing to create a bundle that is ideal for your unique business needs. Variety - there are many types of marketing approaches so it is important to find a firm that can offer the right set of techniques for your business. Look for a firm that has a variety of online marketing services such as blogging, content management, emails, Ebooks and other services. 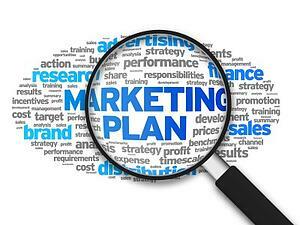 Costs - marketing firms provide different cost structures depending on their particular business plan. Some may have an a la carte approach while others bundle certain services into a package price. Firms can have a monthly fee program in place, or a pay by the service plan. Note that pay per click (PPC) and some other service can accrue a fee based on the volume of clicks. Your marketing firm should be up front about those expenses. Your business marketing plan is important, but you have to manage costs as well. With the right partner you can have both. For more information please call us directly or click the button below and we will contact you. Thank you.